It’s 2017, and that means it’s time to set the goal of being the #1 Sales Representative of the Year. Erase the revenue board, evaluate what you accomplished last year, and strategize your plan of attack for 2017. As a sales professional, you need to set yourself up with the tools of success. I’m not just talking about using the best software tools, but actual sales training that you can use, implement, and execute on. Professional sales conferences are a great way to sharpen your tool kit. You have the opportunity to learn from top industry leaders, educate yourself on emerging trends, expand your network, and even prospect. And the included happy hours don’t hurt either. Even though conferences can be fun, and a nice break from the office, I recommend focusing on conferences that really align with your objectives. Understand what you want to get out of the conference. Are you looking to hear from some of the biggest and brightest business stars out there? Do you want to focus more on tips and tricks? Do you want to hear from a panel of leaders in your space? If you’re looking for a balance of all of the above and more, here are 16 sales conferences you should consider attending in 2017 (in no particular order). INBOUND brings together marketing and sales professionals to transform business and inspire innovation. INBOUND is hosted by Hubspot. The conference offers keynote speakers, innovative talks, educational breakout, hands-on learning, networking, and entertainment. In 2016, INBOUND had over 19,000 attendees. The Sales 3.0 Conference is an event series bringing executive sales professionals together. This conference is hosted by Selling Power. Sales leaders learn how to leverage best technologies and strategies that optimize performance. Attendees learn best practices around sales process improvement, metrics, training, leadership, and customer engagement, and retention. There are three different conference locations in the Sales 3.0 series. Sales Hacker and #FlipMyFunnel bring together sales and marketing professionals to cover best practices and technologies that fuel revenue growth. The conference covers topics like sales leadership, sales development, customer success, sales strategy, account-based marketing, and how to drive revenue. The AA-ISP Leadership Summit brings inside sales professionals together to learn about the latest hacks, newest trends, and best practices for solving today’s toughest challenges and issues. The summit is dedicated to sales leadership and supporting roles. It includes presentations for inside sales experts and breakout sessions. Dreamforce is the world’s largest technology conference. It is hosted by Salesforce and brings thousands of sales, marketing, and technology professionals from around the world together. There are over 1,000 breakout sessions, the opportunity to get training and certification, and hear from top global tech and business leaders. The SiriusDecisions Sales Leadership Exchange brings b2b sales, sales operations, sales enablement, and channel sales leaders together. The event is aimed to help sales leadership learn and understand which sales strategies and software solutions drive sales performance. Attendees learn how to improve retention, support sales managers, and recruit top sales talent. The Sales Acceleration Summit is hosted by InsideSales.com and is one of the world’s largest online sales learning events. Over 50,000 sales professional attend this virtual event. Sales professionals learn from top industry experts on how to align marketing and sales to accelerate revenue. This is a free online event. Rainmaker is hosted by SalesLoft and is a sales engagement conference. 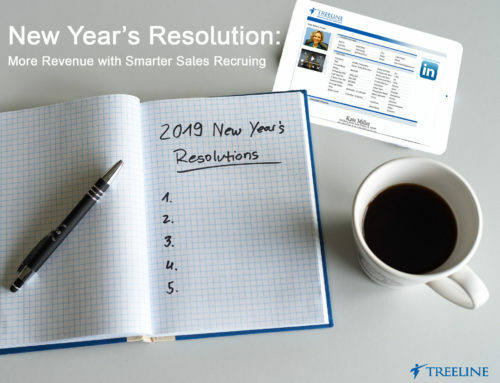 It is for sales, marketing, leadership, and account-based roles. The conference has top industry experts from all different verticals, and provides sessions that address next level sales strategies. SaaStr is an event for sales professionals working in the SaaS space (Software as a Service). Top technology and sales experts provide best practices to scale your business. The event covers tactics to help entrepreneurs and sales leaders optimize growth around software, managing, and hiring. The AA-ISP conference is an event dedicated to improving the performance of inside sales teams. It’s geared towards sales reps and sales managers who want to learn new skills, network, and discover the latest technologies. There are three different conference location for the AA-ISP Inside Sales series. Pulse is a conference dedicated to customer success. If you work in a post-sales or customer-facing role, this event covers it. The event provides hands-on learning and covers the most recent data on trends, tactics, and forecasts. The CEB Sales and Marketing Summit focuses on boosting its attendees’ ability to adapt to the critical changes facing B2B commercial teams today. The event crosses the sales and marketing divide. Over 900 senior sales and marketing executives from large enterprise organization attend the event. The TOPO Summit brings sales and marketing leaders to share best practices and patterns to drive growth. It’s focused on today’s hottest topics that are changing the sales landscape with keynote speakers and in-depth workshops. This conference covers sales leadership, sales development, sales operations, account-based selling, marketing, and technology. Apptus Accelerate is The Intelligent Quote-to-Cash event. The conference brings together leaders in sales, IT, marketing, operations, legal, finance, and executive roles. It focuses on improving sales productivity, using machine learning and AI in sales, sales compensation, and sales development. The Sales Summit East conference brings sales professionals and leaders together to provide actionable insight on how to drive sales performance. The event covers sales process improvement, sales and marketing alignment, metrics, strategy, customer engagement, sales technologies, and lead generation. The B2B LeadsCon conference bring sales and marketing professionals together to solve the biggest b2b lead generation marketing challenges. Sales professionals in different roles like demand generation, business development, and leadership attend to learn how to improve ROI. The sales landscape is constantly changing. The buyer’s journey continues to evolve, and customers want more from companies, products, and services. If you want to be the best, you need work harder and smarter than the rest. The 16 sales conferences listed above are a great place to learn and apply a depth and breadth of actionable insight. What conferences will we see you at this year?